Outreach ministry for the elderly of our community, in association with Southern Adventist University. Duties range from receptionists and janitorial crew, to resident hall assistants. Students work with teachers in grading, cleaning, and organizing offices. Work assignments range from bookkeeping in the Business Office, to serving as a receptionist at the front desk, to working with the Marketing and Development Office. 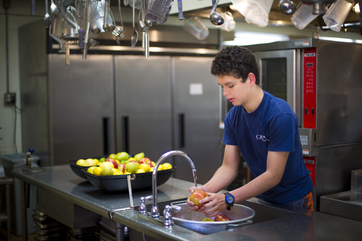 Students perform various duties, including cooking to cleaning, to help provide great food service for our campus. Duties are labor oriented and include mowing lawns, weeding flower beds, raking leaves, fixing showers, and working on vehicles. Students help on a variety of computer-related issues and projects such as graphic design, streaming, internet servers and switches, and laptop repair. A resume and two non-family recommendations are required for a job with the Help Desk. Students help on a variety of computer-related issues and projects such as graphic arts, streaming, internet servers and switches, and laptop repair. A resume and two non-family recommendations are required for a job with the Help Desk. Estimated earnings range between $1600–$2000 for the school year. Every student who desires to work is given an employment opportunity. 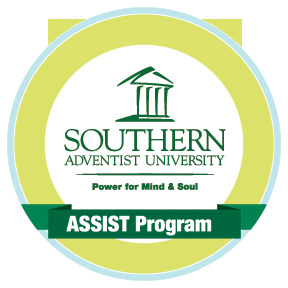 Georgia-Cumberland Academy, in partnership with Southern Adventist University’s ASSIST grant program, has the opportunity to offer unique tuition assistance to our students. Through this service-oriented program, our participating students are paired with elderly adults in our community in a mutually-beneficial way. If you would like more information about the student work program and/or the ASSIST Program, please contact K.C. Larsen at klarsen@gcasda.org, or (706) 625-7151.